This board is designed to be compatible with BASIC Stamp 2 module, reducing breadboard and 32 LEDs and 1 speaker driver, with the purpose of maximizing entertainment for children. 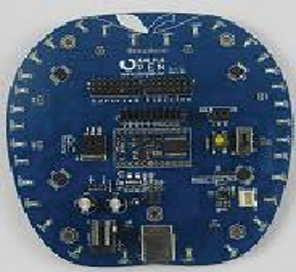 The Board includes a BASIC Stamp 2 module so you will not need to purchase one separately. * All 16 Digital I/O pins are free to use, allowing you to fully utilize the capabilities of the BASIC Stamp. * Compatible with extend project board, for ease of prototyping sensor systems. * Integrated Serial Communication LEDs for a visual confirmation of data transfer.